January 28th was celebrated the world over as Chinese New Year, the year of the rooster. Rooster holds the significance of the messenger of the dawn in almost every culture, which marks the start of the day with the rising of the sun from the East. 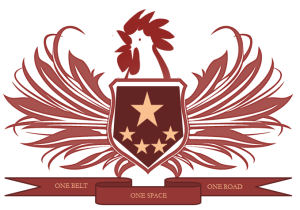 Coincidentally, this time the rooster is crowing the dawn of the Chinese leadership in the verticals of economy, trade, finance, technology and space frontiers. The rooster, despite its long distance travelling voice and fierce appearance, is not considered a predator nor an easy prey. China, despite its considerable military might, achieved its leadership status without a single military campaign and sound of its development echoes across the globe as well as the space surrounding it. United States withdrawal from Trans Pacific Partnership of 12 economies, comprising 40% of World’s total GDP, has created a void of leadership as well as has made the future of free trade alliance uncertain. This withdrawal of the biggest economy of the world cannot be related to the British exit from the European Union but both scenarios create equal opportunities for the 2nd largest economy of the world, The People’s Republic of China. 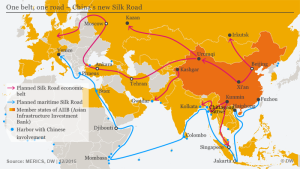 Initially covering most of the Asia, Europe and Africa, China’s trade initiative ‘One Belt, One Road’ may also cover Australia, New Zealand, Japan, Canada and Latin America if initially not invited China buckles up on the driving seat of TPP. ‘Construction of the Belt and Road Initiative Space Information Corridor, including earth observation, communications and broadcasting, navigation and positioning, and other types of satellite-related development; ground and application system construction; and application product development’. ‘Space Information Corridor’ a broad term for a bouquet of potential multidimensional services of variable magnitudes. Since this trade initiative spans most populated as well as culturally diverse regions with unpredictable economic and political circumstances, designing and managing such information corridor will be a complex task. Considering the rising interest of most of the member countries in space related activities, a potential space alliance like that of ESA is pretty much possible. Although some countries have a space program and even they own satellites orbiting the planet at different altitudes, manufacturing and launching of such space crafts are not indigenous to most of such programs. These trade activities will create multiple opportunities for government and private sector institutions including but not limited to; commercial, financial, power, manufacturers, import/export entities etc. to extend their presence along the routes. All of the benefiting organizations are already upgrading their processes in line with development in technologies like Cloud Computing, IoT (Internet of Things), Artificial Intelligence, Fleet Management etc. This will result in generation of bits and bytes in the magnitudes of mega and giga every second. Considering marine routes and large areas of varying terrains of the regions of the land routes, Satellite Communication will be the only viable solution for communicating and managing such amount of data. Moreover, China like any other leadership will safeguard its own interests in these regional trade routes and will complement it through close monitoring, secure communication and accurate navigation. Again all of of these can only be served by special purpose satellites. 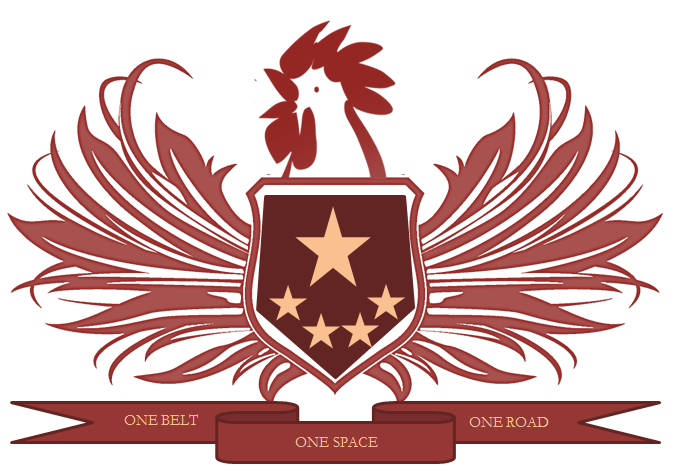 I have created an online survey regarding this ‘Space Information Corridor’. Feel free to submit your valued feedback and it will be published as an analysis.